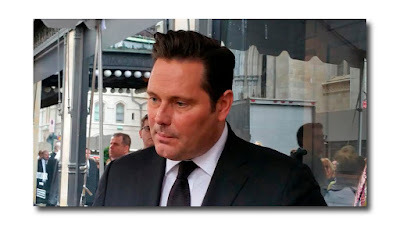 “They’re here!” squealed the throng outside New York’s Saks Fifth Avenue flagship store. 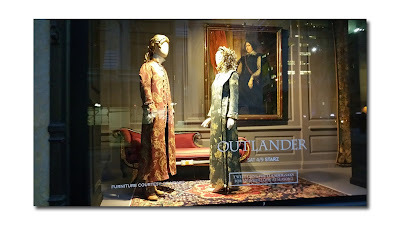 They had just caught their first glimpse of Caitriona Balfe and Sam Heughan, who star in the popular television series, “Outlander”, as they arrived on 50th Street. 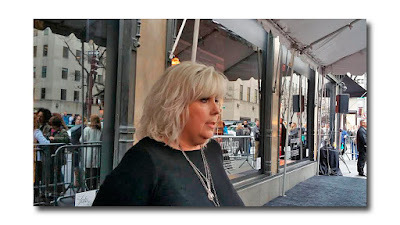 Loyal fans of the Starz television series, many of them from out of town, had been waiting patiently for hours on a rain soaked Thursday afternoon, to see this TV couple that they so adore (as if on cue, the sun started to peak thru the clouds when they arrived). 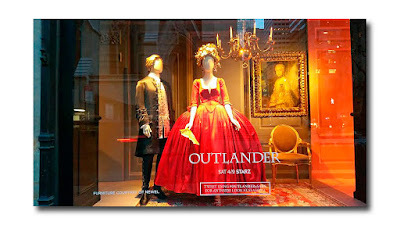 The occasion was a collaboration between Saks Fifth Avenue and Starz to celebrate the “Outlander” Season 2 premiere. 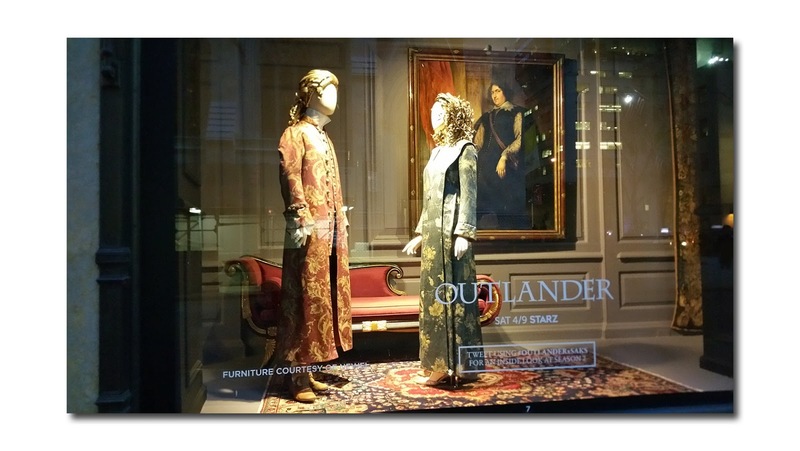 To mark this highly anticipated event, Saks unveiled six window scenes; featuring “Outlander” curated looks, in their 50th Street store windows. Balfe and Heughan were accompanied at the event by “Outlander” Executive Producer, Ronald D. Moore and his wife Terry Dresbach, the costume designer for the series, as well as Saks executives Mark Briggs and Tracy Margolies. “Outlander” is based on a series of books by Diana Gabaldon. 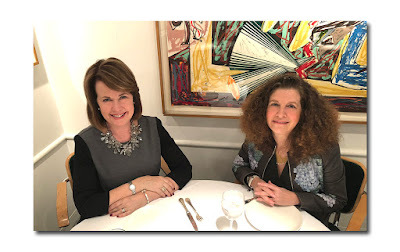 It’s a time travel saga in which the character that Balfe portrays is transported from post World War II Scotland to the 1700’s. 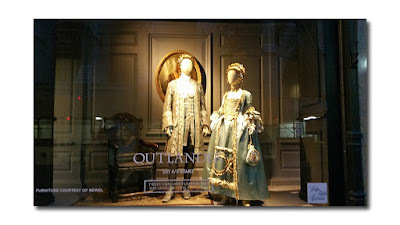 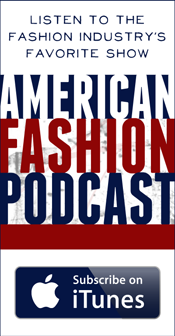 The elaborate period costumes worn by the show’s characters have created such a sensation with viewers that designer Dresbach has her own following of fans as well. 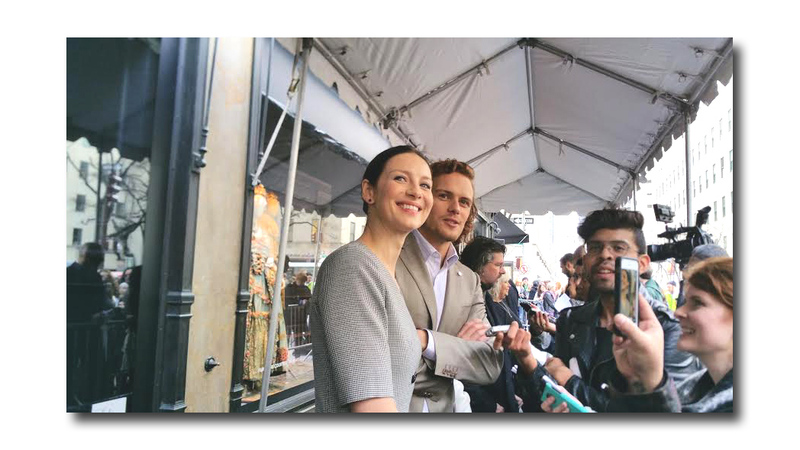 Balfe then looked at her costar, Heughan, and said, “Right?” “Absolutely” he replied with a smile. Season 2 of the Starz Original Series, “Outlander” premieres on April 9th, at 9:00PM (EST). 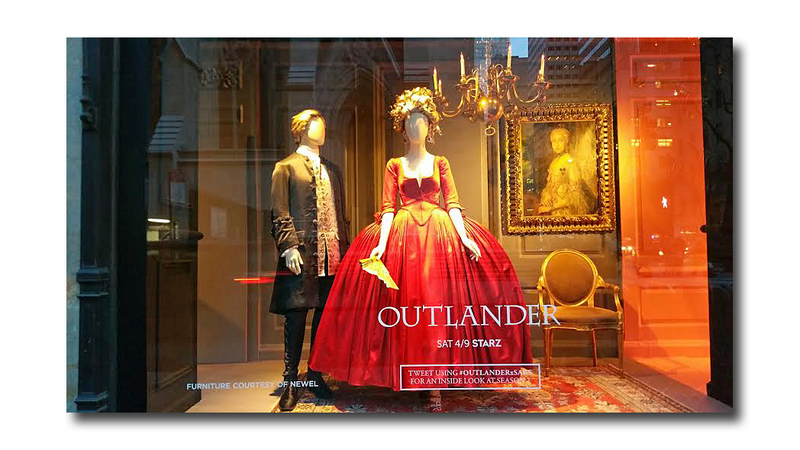 The Saks Fifth Avenue “Outlander” curated windows will be on display at Saks New York and Beverly Hills until April 11, 2016.